Oxford Silkfit Patient Hoist Sling For Safe Moving. The Oxford Silkfit Sling is a contoured and flexible sling that is designed to fit most users. It is ideal for users where fitting a sling may prove difficult such as moulded wheelchair users. 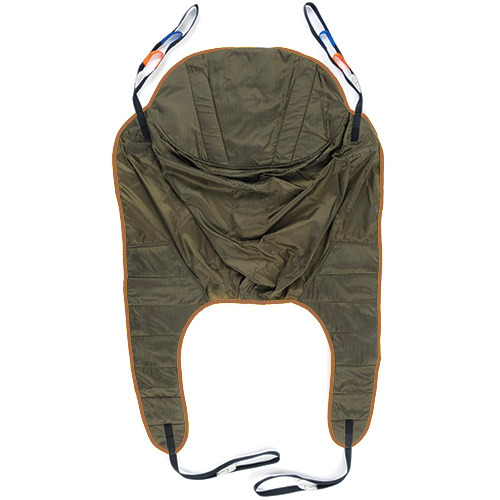 This sling offers great comfort; it has an integrated head support for good postural positioning and leg padding for extra comfort negating the need for side suspenders. For ease of cleaning this sling is fully machine washable thereby significantly extending its lifespan.